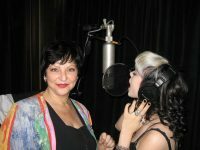 Many singers lack the confidence to be fully expressive performers because of either a small vocal range or a “breaking point” that segments their range. Still others have come to believe that the “breaking point” in their range, otherwise known as register break is a natural part of a singer’s voice. This belief alone causes them to invent ways of hiding or maneuvering around an aspect of their voice they wish was not there. But is it really true that this is a natural part of a person’s voice? Let’s define “register break” as those few transition notes that cross-over from your lower to your upper register where your voice suddenly cracks, becomes weak or is difficult to control. In classical voice training, this is called the “passage” or passagio (passageway between two sections of vocal range). This is usually between one to three cross-over notes which suddenly become weak or crack and are difficult to control. To understand why register break occurs, you need some knowledge of your larynx more commonly called the voice box. Your two vocal folds, incorrectly called vocal cords, lie horizontally side by side across your wind pipe inside the larynx which is enclosed by the thyroid cartilage. The front tip of this thyroid cartilage is your Adam’s apple. In order to achieve faster vibrations (higher pitches), your larynx tilts down into the center of the throat so that the vocal folds can lengthen. As they do so, the muscles of the folds become thinner. Simultaneously, the inner rims of the folds press together permitting only a shorter section to vibrate. As you sing lower, the larynx resumes its original horizontal position allowing the vocal folds to become thicker so that a longer length of them can vibrate. This is similar to fretting guitar strings (shortening them for higher pitches) and the various thicknesses of strings on a string instrument: thicker = slower vibrations and lower pitches, thinner = faster vibrations and higher pitches. These small variations of movement need to be accomplished smoothly and to different subtle degrees, depending on the pitches intended. It is important to know that this tilting, thickening and thinning process will happen automatically. You don’t have to make this happen with your external throat muscles, jaw movements or tongue positions! Register Break – What Causes It? So why does register break occur? The usual cause is too much air pressure under the vocal folds due to a lack of regulated breath support. 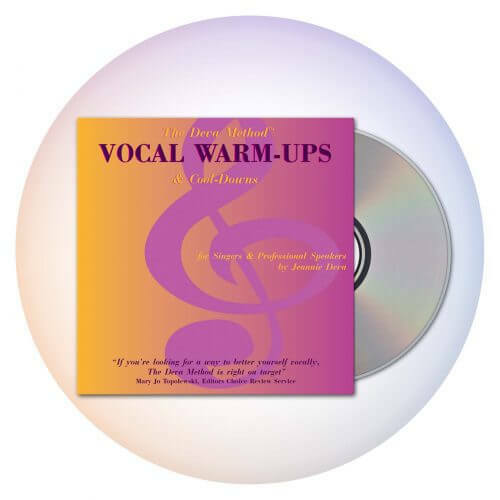 Excessive air will push your vocal folds apart. Instinctively, your throat muscles tighten to hold them together. However, for your voice box to tilt downward (which it must do as you sing higher) your external throat muscles must relax. When they relax the excessive air blows your vocal folds apart and voila – register break! Those few transition notes will crack, sound breathy, or be entirely absent depending on how excessive the air stream is and how tense the external muscles are. The solution is a regulated air stream that provides just the correct pressure to vibrate the vocal folds with no excess pushing them apart creating muscle tension. 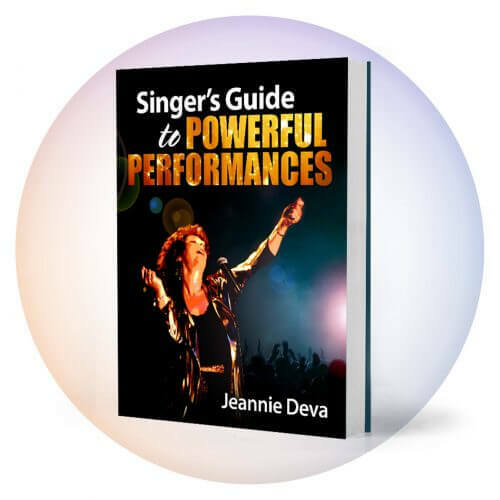 So the keys to singing without register break are: 1) a properly regulated air stream is sent to your vocal folds and 2) the tongue and throat muscles are relaxed and permitted to function naturally and automatically – not manipulated. The next blog post will give you exercises to relax tongue and throat muscles. 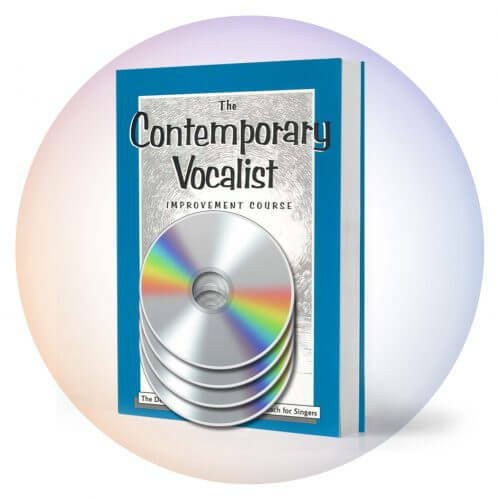 For regulated air stream open the search tab at the top of any page on our site and type in “rib cage expansion.” You will find related articles and The Contemporary Vocalist Volume 1 and learn the best method of breath support.